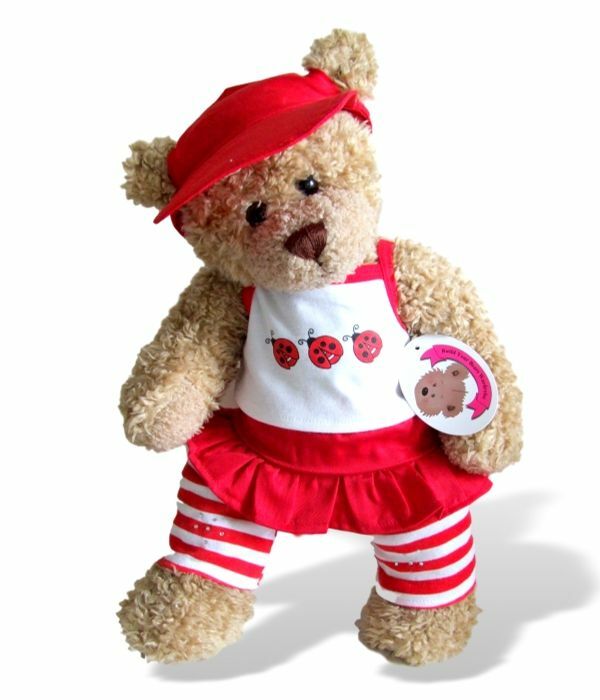 Teddy Bear Clothes fit Build a Bear, Red Ladybird Outfit Red & White Stripe Leggings. Teddy bear clothes red ladybird outfit red & white stripe leggings. Teddy bear clothes compatible fit for 16 inch.